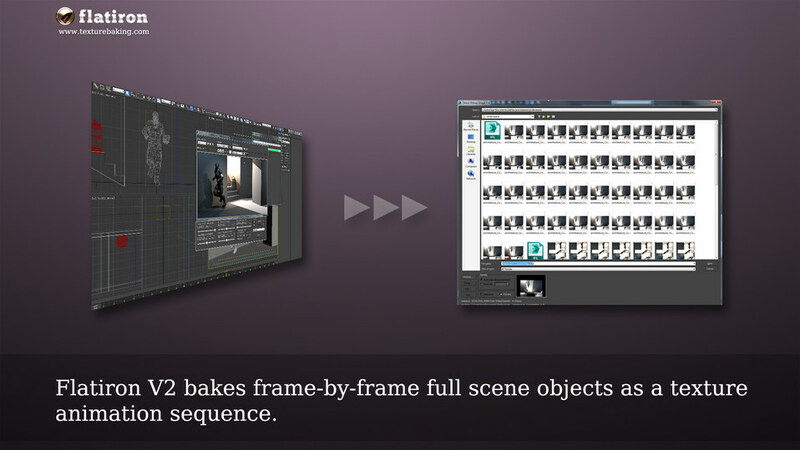 Flatiron 2.0 is the most powerful scene texture baking solution for Autodesk 3ds Max. 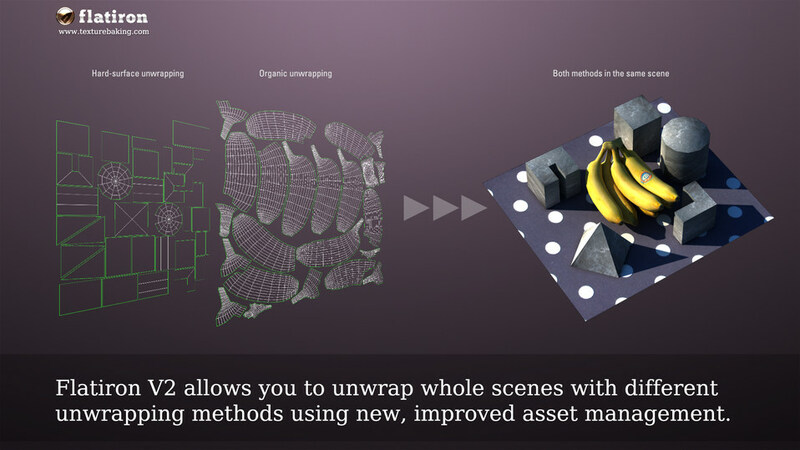 It is developed to assist game artists, realtime visualization and prototyping designers in creating whole scene baked bitmaps with only few clicks. 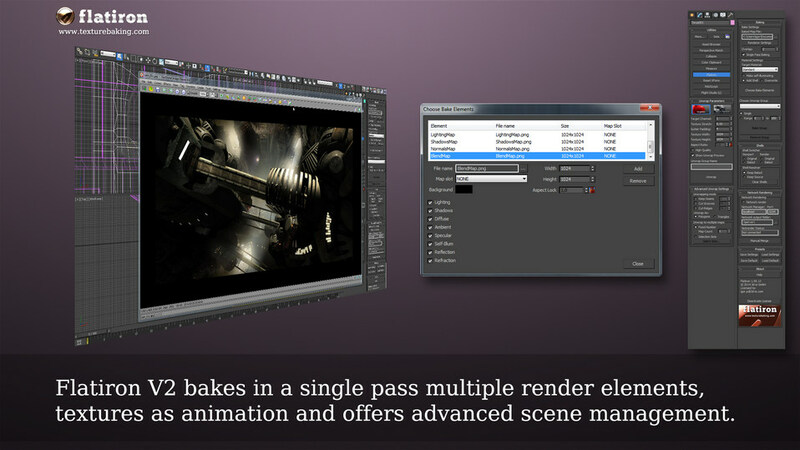 Major studios and game developers utilize Flatiron since years for assembling texture baking processes. Flatiron 2.0 costs EUR 299,- and can be purchased at https://www.3d-plugin.com/product/flatiron. Flatiron 2.0 is a free update for all existing customers of previous Flatiron versions. For more information please visit http://www.texturebaking.com – you can purchase the product on this homepage as well. 3d-io games & video production GmbH is specialized company for high-end software development, modeling, animation, rendering, CG effects and 3D industrial design. 3d-io GmbH, headquartered in Wiesbaden, Germany, has an established strong presence in game development, design & video production, digital content creation as well as in graphics and animation. We are dedicated to provide easy-to-use software products accompanied by dedicated support team, experienced programmers and top notch 3D artists. Our latest product on the gaming market was nominated for the German Game Developers Award 2008 in best graphics category, and CG products are used by many famous Game and Design Studios worldwide.